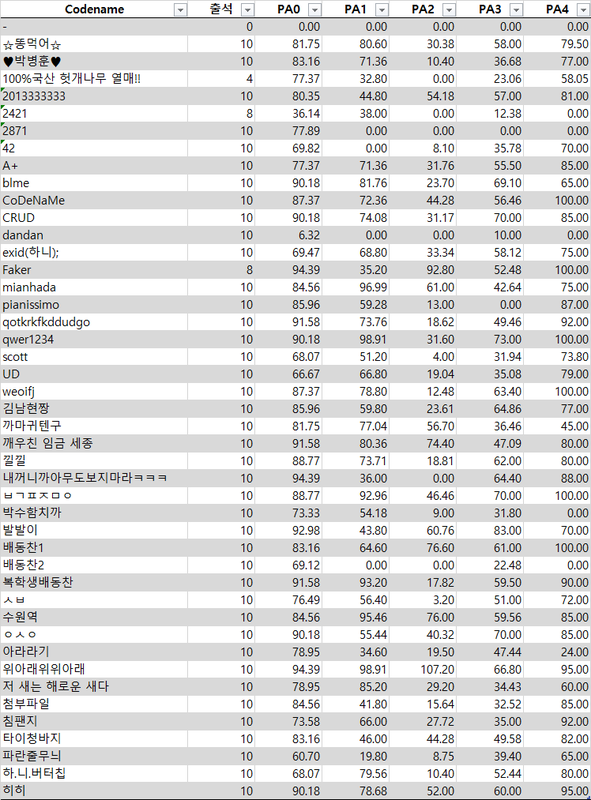 (2014/12/26) Your PA scores are shown below. If you want to make a claim, please send email to the me(TA). For more detailed information, please check out this link. To compare your implementation and the standard library's one, you can build the test code with attached Makefile. make std will make a flawless version, while make will make an executable with your code. You can match outputs the both binaries create. (2014/12/26) (2014/10/08) The server will be gone soon. There was an important errata in the PA. I have corrected and uploaded an updated one. Please check out. Sorry for the confusion. Sungkyunkwan University (SKKU) This page has been visited 9252 times.